Look your best with new hairstyles for men, women, and children from Victoria’s Hair Gallery of Kingwood, Texas. Our salon also sells Dream Catcher™ and Cinderella™ brand hair extensions. 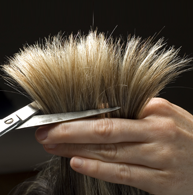 You may even bring in your own hair and have our stylists weave it. To learn more about our fantastic hairstyles for men, women, and children, contact us in Kingwood, Texas.